"The Valley" Black and White. 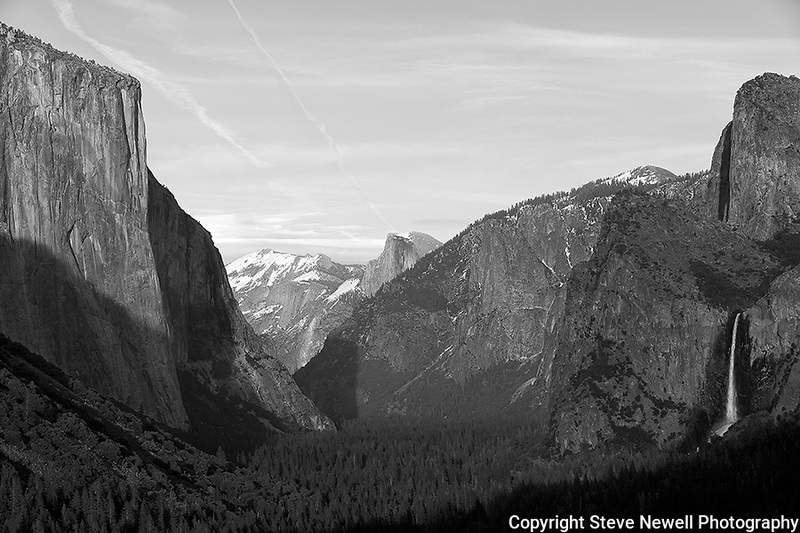 The entrance of Yosemite National Park's valley floor with El Capitan on the left, Half Dome in the middle and Bridalveil Waterfall on the right at sunset. I was in Yosemite for a week in March and a week in April during the Spring of 2013. Due to the light winter snow fall I went earlier than normal to capture the waterfalls while they were still flowing pretty good. Sunsets in Yosemite really bring out the spectacular colors of the rock formations.